In past years, I’ve used Saturday as a breather. I usually use it as a lie-in day. By then, everyone’s spent: they’ve drank too much, they’ve run around too much and the reality that we’re all going home on Sunday is sadly starting to set in. I also Saturday as my catch-up day to try and pick up anyone I might have missed during the week. 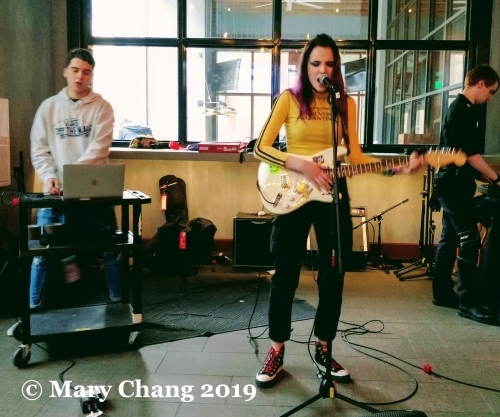 In order to make this post and the next and last of my SXSW 2019 live review posts efficient, I will recount in this post the bands I only saw on Saturday. Fatherson are no strangers to TGTF or to Austin for that matter, having come out here for SXSW 2015 when frontman Ross Leighton had a much larger beard! The Scottish trio have undergone a musical evolution since then, trading their previous more all-encompassing anthemic sound for (dare I say it?) a more poppy, mainstream rock approach. These details inside a music editor’s mind were lost on the British Music Embassy crowd, Austinites and for-the-week British expats enjoying the music being bashed about on stage. I wouldn’t call Rizha an accidental find, as I happened to be passing through and wanted to be sure I did not miss who was up next. She is a young (19) Argentinian now in university in Madrid, continuing a musical career that I understand began in 2013. Most, if not all of her songs, contain swear words and therefore have been anointed as explicit on Spotify. This ordinarily wouldn’t disqualify an act for me, but I wasn’t impressed with the music or Rizha’s singing. Had I been a good 2 decades younger (or 3? ), this music might have spoken to me. As it was, I found her synth-reliant music unremarkable. On the other hand, the Austin Taco Project, attached to the Hilton and which opened just in time for SXSW 2018, is worth a visit for the delicious tacos and the very nice bartenders, even if you’re not there to see a band on their Second Play Stage. While we’re talking about the Hilton, I’d be remiss to not mention the Hilton’s other restaurant Cannon + Belle, which also acts as a Second Play Stage during SXSW. Carrie and I saw Holly Macve and James TW there in 2016. The next band were much more up my alley. Having run around like somewhat of a crazy person on Wednesday night, I could not stay at the Focus Wales showcase for Welsh band Kidsmoke. 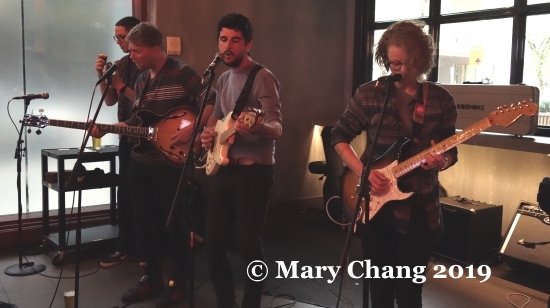 Luckily for me, the Wrexham four-piece made another appearance at the Austin Taco Project before leaving for home. I’ve seen the term ‘pastoral pop’ being bandied around when they’re discussed, and I think it’s a good description of their music. Maybe it’s just me, and admittedly I have never been to Wales (!) but I have this romantic vision of its picturesque countryside, of rolling green valleys and white blots of sheep. If I had the opportunity to drive around this beautiful land, I’d want Kidsmoke’s newest single ‘Passenger’ playing while I had the windows rolled down, my hair flying in the breeze. Want to make it feel like it’s summer every day? Guitar-driven melodic pop? Yes, please! 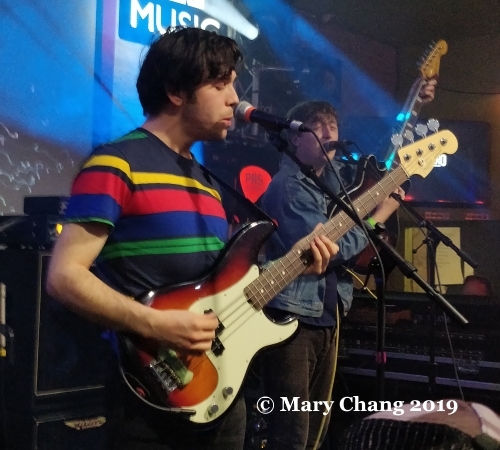 Arguably the biggest success story out of The Great Escape 2018, Cardiff’s Boy Azooga capped off a busy week in Austin with a 9 PM appearance at the British Music Embassy during BBC Radio 1’s showcase. Probably dead tired, Davey Newington and his live band showed no signs of flagging and certainly brought out their Four Tops-ey dance posturing to the Latitude 30 stage. Coming into Austin on a raft of hype, the song ‘Taxi to Your Head’ seemed quite appropriate by title, its funky grooves received well by the audience. 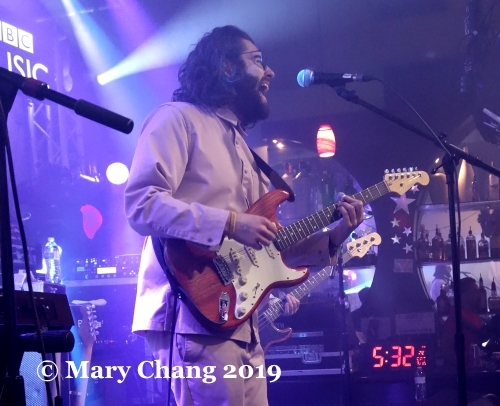 The laidback ‘Jerry’, another from the critically acclaimed debut album from last year, ‘1, 2, Kung Fu’, was another set highlight.